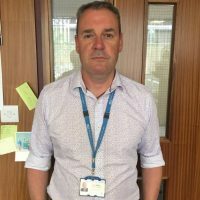 Tom Mullen is a mental health nurse and is currently the Clinical Director for Specialist and Learning Disability services in Leeds and York Partnership NHS Foundation Trust. For the past twenty years he has worked to develop and lead on the delivery of a range of community based, multi-agency personality disorder services and he has contributed to the development of national policy and guidance in this area. Tom is also the joint President of the British and Irish Group for the Study of Personality Disorder (BIGSPD), the leading organisation bringing together learning through evaluation, research and experience of working with and living with personality disorder.